Add Mickey Mouse and Friends to any room! 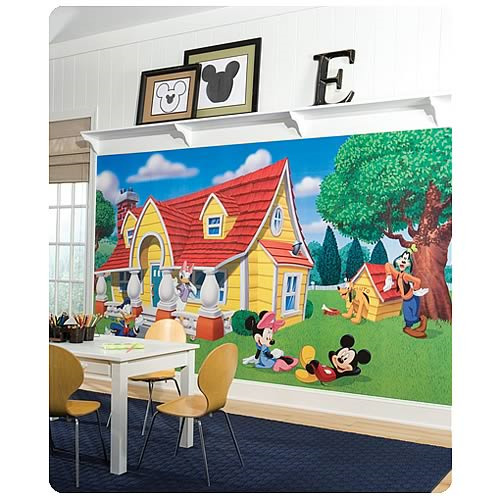 Completely transform your room with this Mickey and Friends XL wall mural. This colorful design features Mickey Mouse, Minnie Mouse, Donald Duck, Daisy Duck, Goofy, and of course Pluto! Applying is easy: just dip each prepasted strip in warm water, then bring it to the wall. You can make your little one's room into a Mickey and Friends paradise in under an hour!